Citing the “success of regulatory review at the federal level,” Abbott’s office wrote in a June 22 letter obtained by The Texas Tribune that his staff would review policies before they’re published in the Texas Register, much as presidents do at the national level. That would mark a significant expansion in the role of the governor, which has historically been a relatively weak post compared with other states and with the federal government. “Presidents have reviewed new regulations in order to coordinate policy among agencies, eliminate redundancies and inefficiencies, and provide a dispassionate ‘second opinion’ on the costs and benefits of proposed agency actions,” Abbott’s chief of staff, Luis Saenz, wrote in the letter. 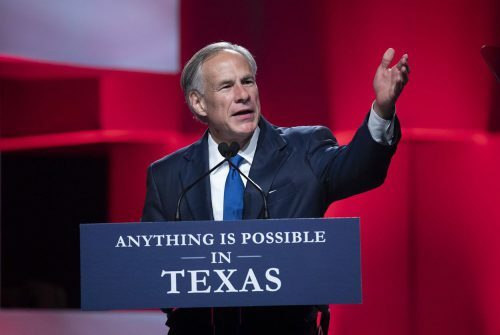 The process would ensure that Abbott’s office would be involved in the decisions of agencies like the Texas Commission on Environmental Quality and the Health and Human Services Commission. The governor is tasked with appointing members of the various state boards and commissioners that aren’t overseen by elected officials. Often, those members are loyal supporters of the governor, but he doesn’t have control over them once they’re posted — and can’t fire them. Agencies have been directed to provide certain information to the governor — including the draft rule, as well as its expected impact on local employment and the economy — before posting the proposed rule in the Texas Register. The letter does not explicitly say what powers the governor has over those proposals. Agency rules do not carry the force of laws passed by the Legislature, but they can range from minute policy adjustments to sweeping political changes. In July 2016, for example, the Health and Human Services Commission proposed a rule that abortion providers would no longer be allowed to dispose of fetal remains in sanitary landfills — a huge burden for those providers. That rule was later codified in law. Rules are proposed and adopted by state agencies after a public comment period, distinguishing them from laws passed by the Legislature. Nothing in the Texas Government Code requires the governor’s involvement, but such efforts do not seem to be prohibited, either. The Texas Register is a weekly publication of state agency rules, which includes rules that have been proposed, adopted and withdrawn. Abbott’s office did not immediately return a request for comment Wednesday.